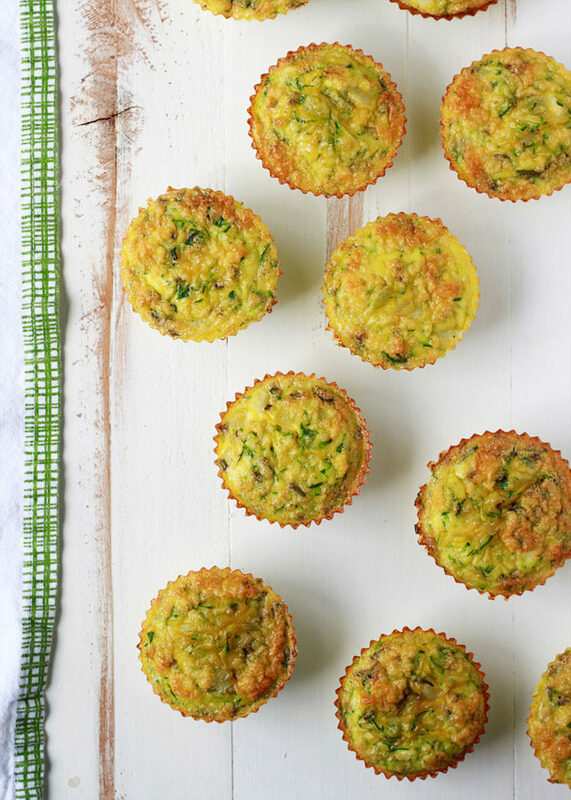 Super simple yet utterly delicious, these easy mini frittatas are the perfect make-ahead breakfast or hearty snack. Zucchini, man. Our garden is officially going crazy with the stuff this year. I’m not really sure what I was thinking. Last year, we were barely able to keep up with one plant. This year, I planted even more, and now we have four large monsters, each producing a zucchini at least every other day. 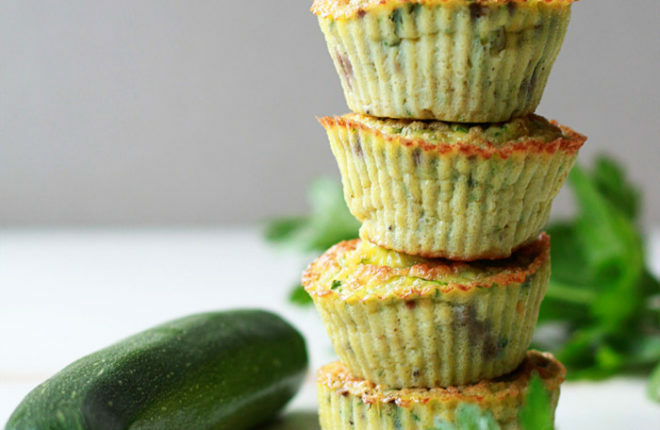 So I’m making all the things – all the zucchini things. 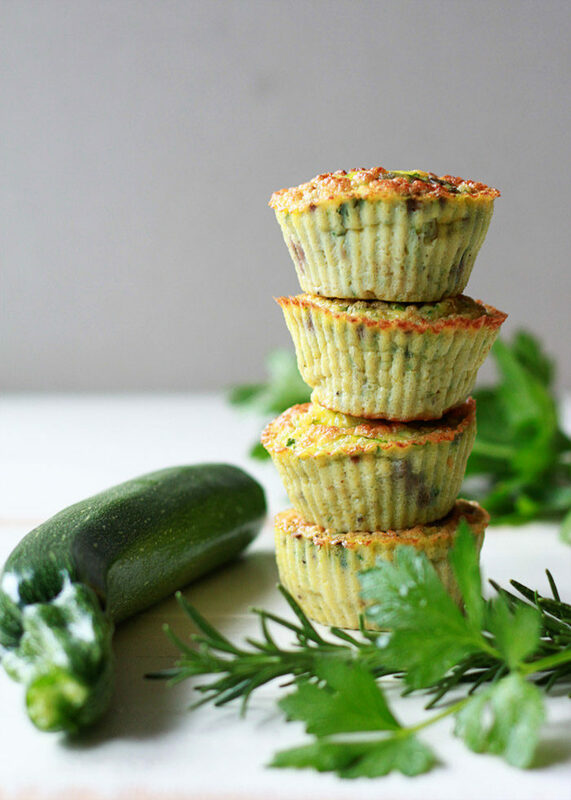 This recipe for Zucchini & Fresh Herb Mini Frittatas, of course, being one of them. Aren’t they so cute and tiny and portable and just goshdarnned edible? I’m not sure I’ve ever called an egg muffin of sorts cute, but there you have it. I’m calling it! They’re cute! 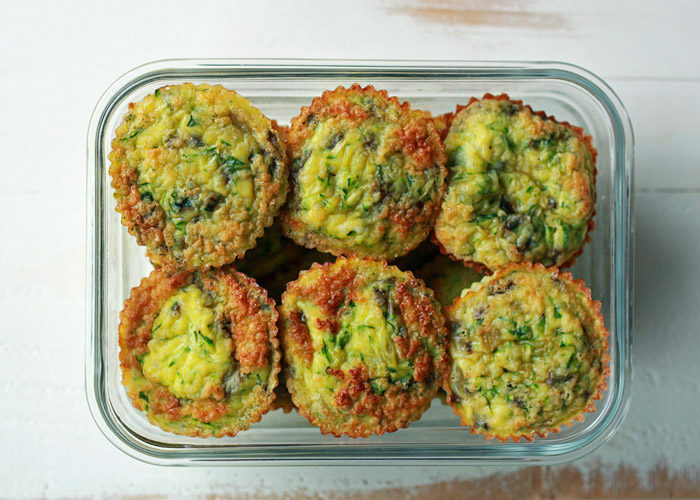 They’re also surprisingly simple, super delicious, and oh-so handy to have in the fridge for easy grab-and-go breakfasts and snack-attack satisfaction. I love whipping up a batch of these bad boys on Sunday to have on hand all week. The recipe is super flexible … add whichever herbs you like (I’m partial to rosemary and parsley, but thyme is also wonderful). They would also be fabulous with a bit of crumbled feta or even some good ol’ cheddar if you’re dairy-inclined (I am not these days). And my guy would definitely go for a bit of bacon or ham in his. Though he’s actually pretty happy with them as-is. Okay then! There’s one zucchini down; woo hoo! Now to figure out what to do with the remaining 241 zucchinis I’m going to be facing. Place a medium saute pan over medium heat. When hot, add the olive oil. Add the onion and cook, stirring occasionally, until softened, 4-5 minutes. Add the garlic and cook for another minute. Remove from heat and let cool. Once cooled, pour the onions and garlic into a large bowl. Add the zucchini, herbs, salt, and pepper to the bowl and combine. Add the eggs and whisk vigorously until well-blended. Divide the mixture between the muffin cups. Bake until set and no longer jiggly, 25-30 minutes. Remove from oven and let cool for about 10 minutes, then carefully remove the frittatas from the cups before they are completely cool (they’ll be harder to remove and might stick otherwise). 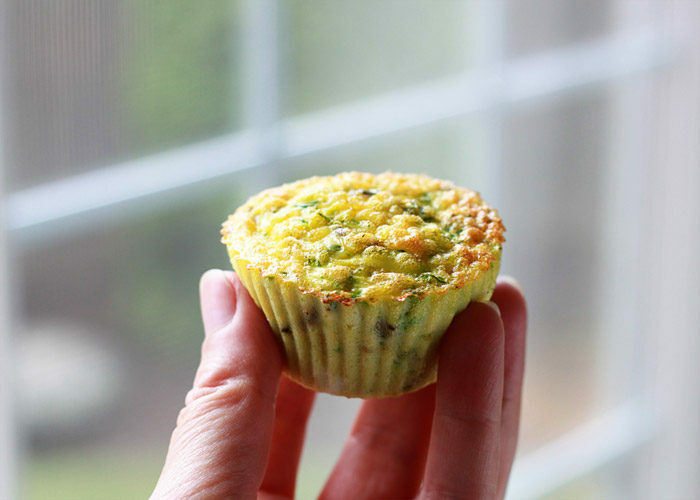 Frittatas keep refrigerated in an airtight container for 3-4 days. They can also be frozen if desired. *I highly recommend silicone liners because the eggs stick to the muffin cups and create quite a mess otherwise. You can also try oiling the cups very, very well and/or using paper liners, but the egg will stick some. Add 1/2 cup or so of crumbled feta, shredded cheddar, shredded Parmesan, or another favorite cheese to the mix. Add some cubed ham or crumbled bacon to the egg mixture. Or, if you want meat in just half, fill half the egg cups, add 1/4 cup of meat to the remaining eggs, and fill the remaining cups. 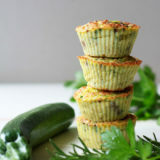 Note for both of these options: This recipe as-is fills the muffin cups almost to the brim, so if you add ingredients, you might need to break out a second muffin pan to cook the remaining mini frittatas. Bonus: you’ll get more frittatas out of the deal! Yay! So glad you like both the recipe and the silicone liners! I’m not sure why but my muffins rose A LOT and caved in once cooled. When I reheated it the next morning, it rose a little again and when I peeled the paper cup off, it was completely hollow inside! What’s left is a shallow layer of muffin top with nothing inside. I’m not much of a baker but definitely followed the recipe. Can you advise why this might’ve happened? Did I not whisk enough or too much causing this much air in the mixture?